Last week I visited our local Goodwill with a friend. Our goal was to find some old sweaters or jackets for this coming winter season. We did not find any however I did find this dress that was not the most appealing to the eye. Now about two minutes after finding this not so appealing dress we found another that was very cute. 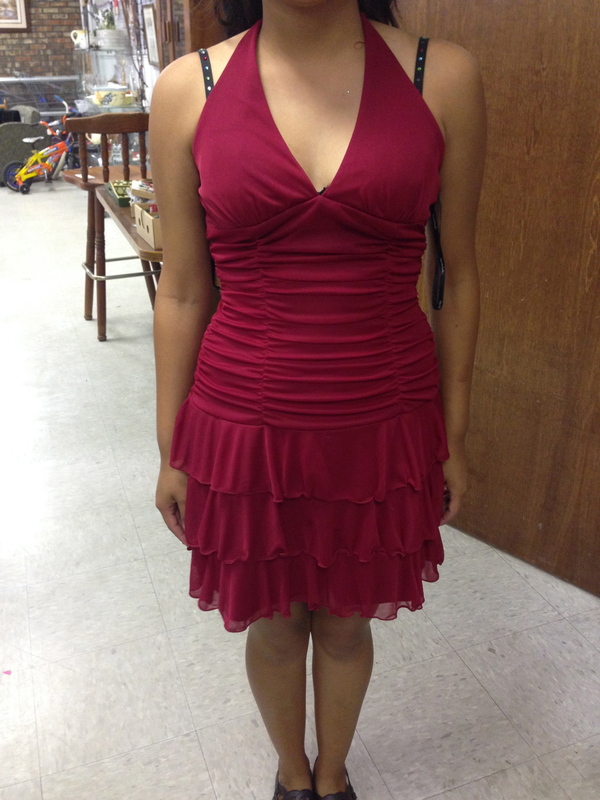 It was a short dress that was maroon in color and complimented my friends body when she tried it on. So why am I going on about Goodwill dresses? It is because I do not like it when people say that there is nothing for them at Goodwill or any thrift shop for that matter. There is something there for everyone. The dress that is not very appealing to me might be very appealing to someone else. Shopping at a second hand store can save people money, something that college students try really hard to do. You also never know what fashion treasures you will discover and can almost be certain that no one else will have the same clothes you do. 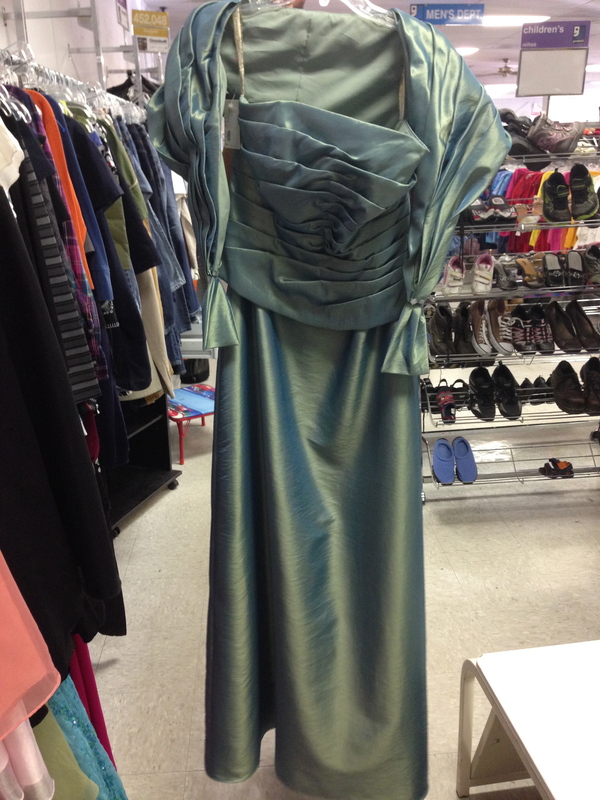 Go hit up your local Goodwill or thrift shop and see what grand treasures you can find there! This entry was posted on September 29, 2013 by aspecktacular in Uncategorized and tagged daily life, dress, fashion, goodwill, maroon, mens fashion, modern day, secondhand fashion, thrift shop, thrift shopping, womens fashion.